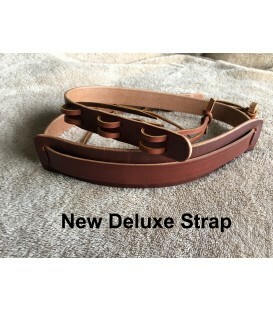 Specially designed hand made leather banjo strap that fits open back banjos, lower priced beginner banjos with or without resonator and any banjo with the shoe and bracket design. 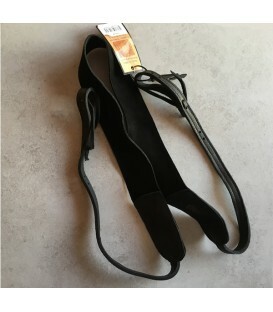 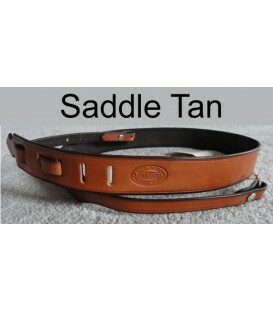 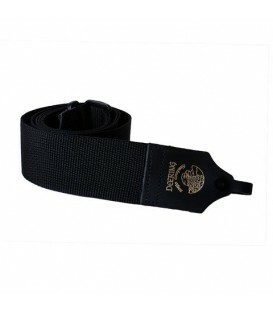 The majority of quality banjo straps and leather banjo straps are made for bluegrass banjos with 24 brackets and a one piece flange, the flange is decorative but its function is for tightening the head brackets against. 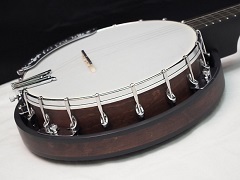 These are the heavier banjos you see professionals and more experienced bluegrass, tenor and plectrum banjo players playing. 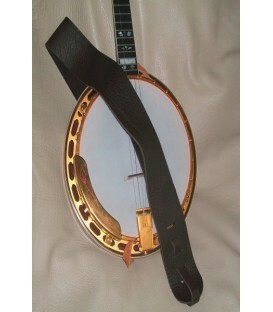 In reality there are probably more shoe and bracket banjo design banjos out there in the world (shoe and bracket banjos have an individual "shoe" screwed into the side of the rim for each head bracket). 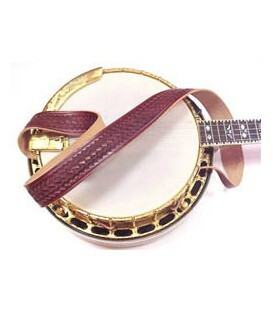 The vast majority of banjos that cost less than 900.00 use the shoe and bracket design and all open back banjos do. 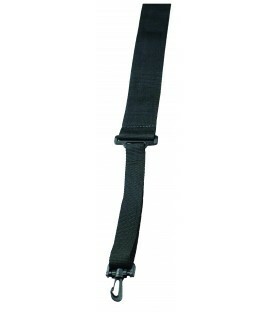 That means 90% of beginner banjos out there need a strap that fits in the smaller space. 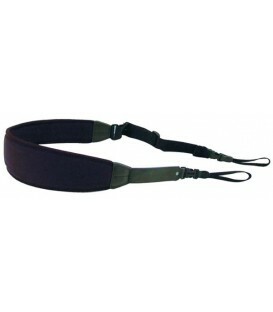 There has been a real need for a decent strap for smaller bracket spaced banjos. 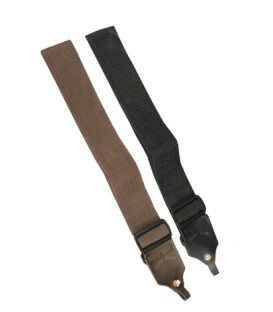 I have not seen a higher quality or leather strap that has ends small enough to fit in the smaller space between the brackets. 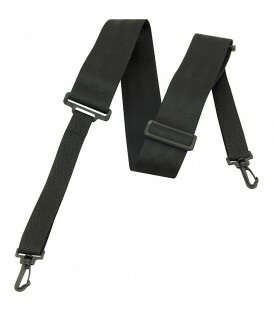 We needed a strap that would work on an open back banjo or an open back banjo with a resonator attached. 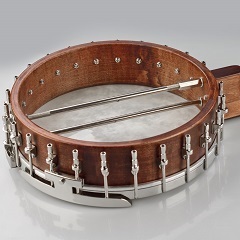 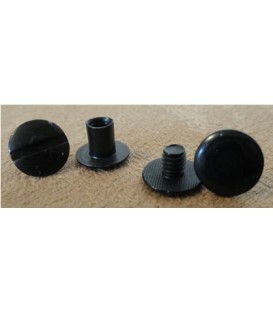 Pictured below is an open back banjo with a shoe and bracket design "without" a one piece flange. 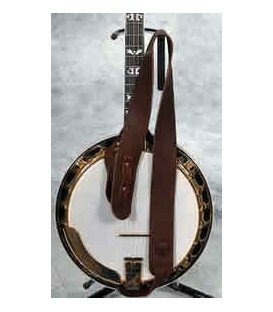 Many beginner banjos with resonators and lower priced banjos with resonators also use this design. 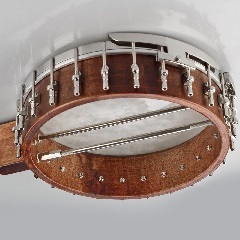 Those banjos use flange pieces between the brackets to attach the resonator too. 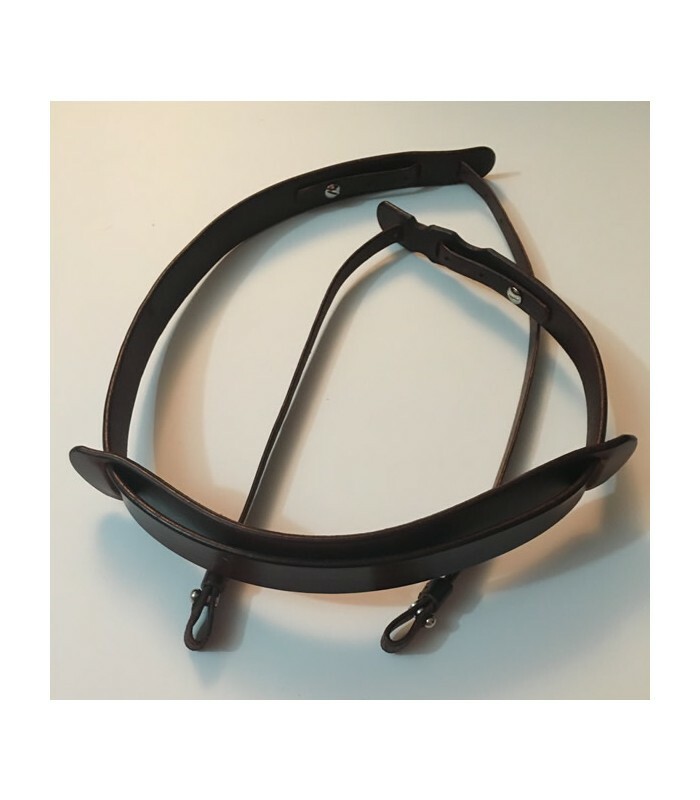 Beginner Banjo with Shoe and bracket design with a resonator attached. It still the smaller space between brackets like an open back banjo. 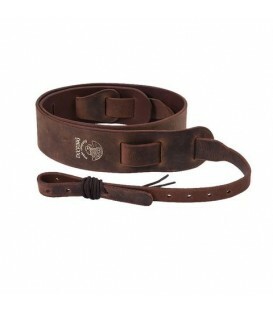 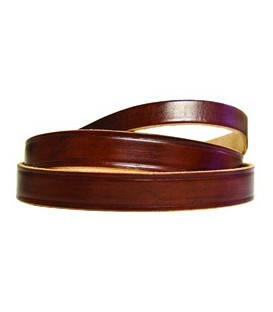 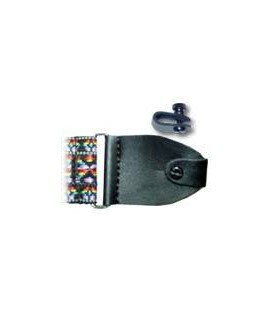 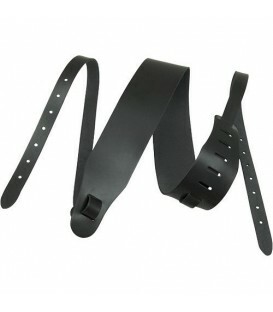 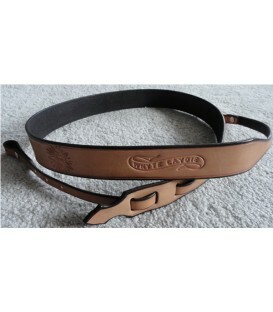 A leather banjo strap that attaches with a button post and has a safety catch as well. 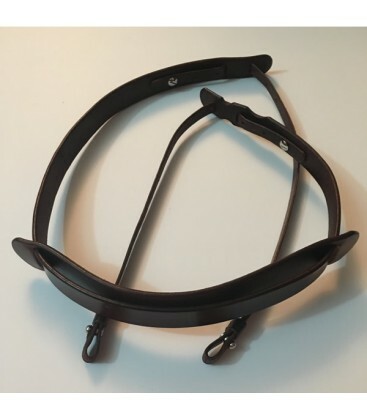 Adjusts from 50" to 60"
How to attach. 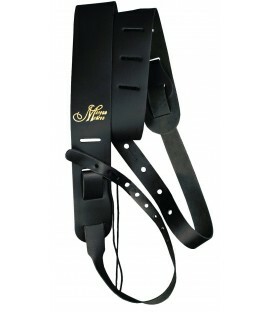 Slide the keeper up away from button post - pull leather tab off of button post - put leather tab around bracket - push leather tab back over button post and slide keeper back down next to button post.